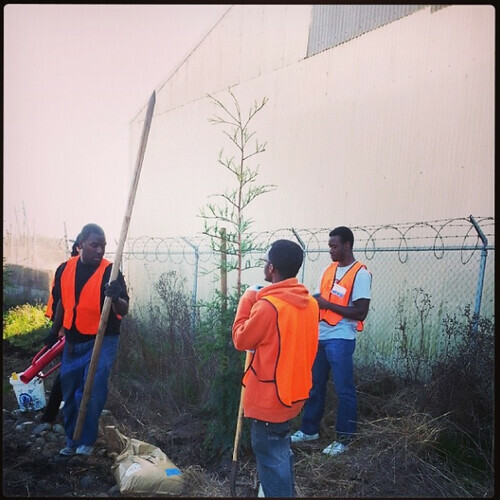 On Monday January 20th, seventeen Aqua Team interns from Richmond High School joined hundreds of volunteers from Richmond and beyond to participate in a Martin Luther King Jr. Day work event along adopted portions of the Richmond Greenway. 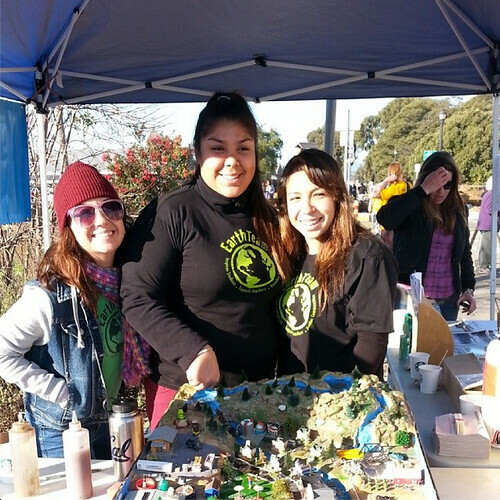 Aqua Team split up along the Greenway, partnering with The Watershed Project in a variety of projects. Some interns worked on a portion of habitat to lay down cardboard, sheet mulch and wood chips to block weeds from coming up and retaining moisture in the ground, and eliminate the need for pesticide use. Other interns installed trees in partnership with Richmond Trees and planted and weeded smaller, herbaceous plants in the established upper habitats along the Greenway. Still other interns stayed in the shade under a canopy and signed volunteers in, discussed how volunteers can keep the watershed clean using a 3D watershed model which had water flowing through it, and made wildflower seed balls for children to throw along the Greenway. Interns have been preparing for this day during Aqua Team's after-school meetings, where they have researched watershed health and human impacts, including the effects of litter and other forms of pollution, the benefits of native plants, and the effects of sheet mulching over other forms of weed blocking. 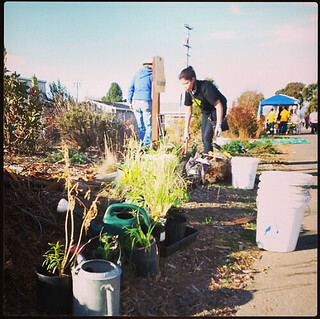 Interns develop professional skills during monthly field events where they learn to plant, weed and mulch, and practice communicating what they've learned to others. Aqua Team is made possible by generous funding through the NOAA B-WET Grants program. This blog was written by Restoration Project Manager Chiara Swartout. 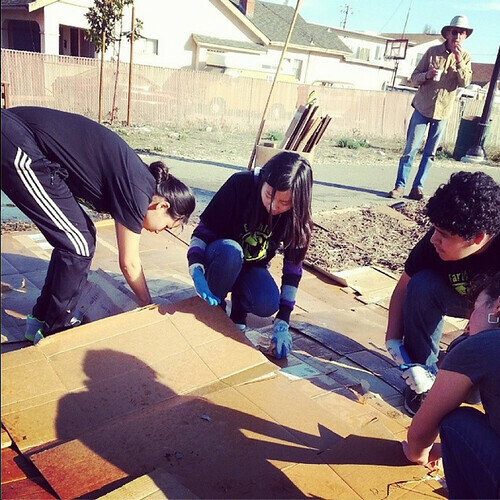 For more pictures of the event follow Richmond High on Instagram @EarthTeamRichmondHS.